HAMANN is an ultra high end Tuner from Germany renown for their work with BMW, Porsche, Mercedes Benz and other prestigious marks in Europe. 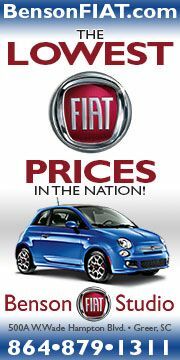 On display at the Frankfurt International Motor show is their latest range of modifications to the Fiat 500. You can view the official brochure here and enjoy the press release below. Last year, the tuning specialist HAMANN-Motorsport confirmed that it is not only one of the best addresses for refining BMW models and exclusive luxury automobiles. 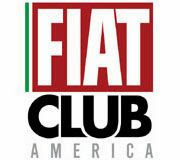 With the sportive accessory program for the Fiat 500, the Laupheim-based technicians left their long-established grounds and joyfully and blissfully indulged in refining the trendy retro scooter. 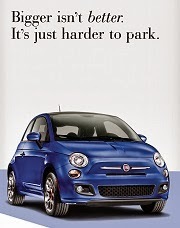 Their efforts paid out, the refining line for the Italian compact car met the approval of the Fiat 500 enthusiasts. 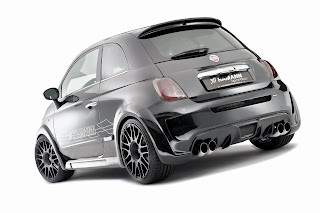 Therefore, HAMANN now adds the impressive broad modification HAMANN LARGO to its portfolio. 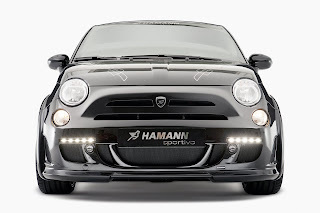 HAMANN-Motorsport did not have to venture unchartered grounds, as the company has been specialized in such sporty modifications for many years already. The latest impressive contributions by the tuning expert were the Mercedes SLR VOLCANO, the BMW X6 TYCOON EVO or the Porsche Cayenne CYCLONE. 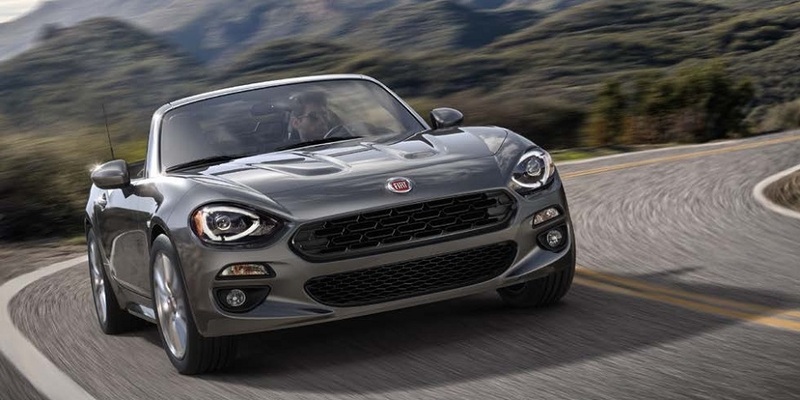 For the modified design vocabulary of the trendy Italian, the engineers designed new aerodynamics components made of light composite materials. Perfectly manufactured extensions seamlessly fit into the car body design and give the LARGO a masculine appearance. A striking eye-catcher is the re-designed front skirt with integrated LED-lights. Special wing extensions are added at the front and the back. 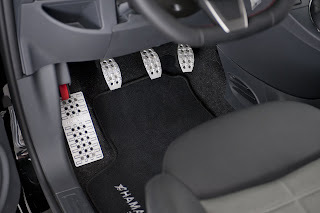 They broaden the car body by impressive 30 millimeters at the front- and 35 millimeters at the back axle. 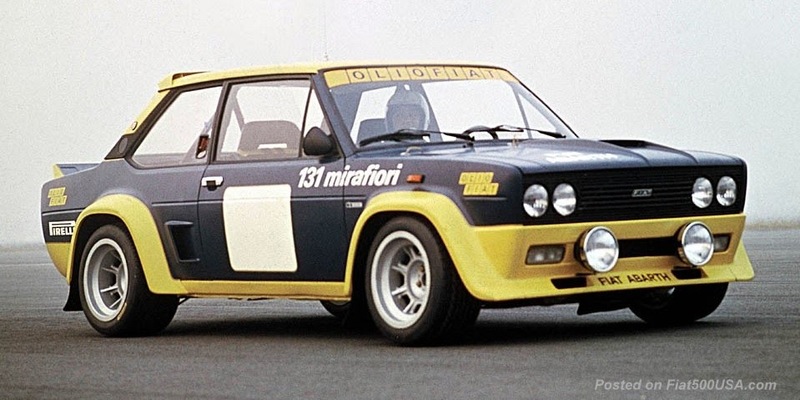 The visual excellence is rendered by the perfectly shaped side skirts. 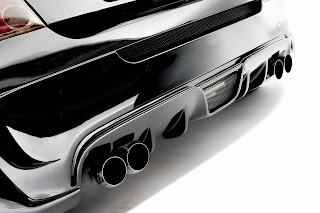 And also the newly designed tail is remarkable: four exhaust end pipes and a diffuser which resembles the Ferrari element leave an extraordinary mark at the tail. 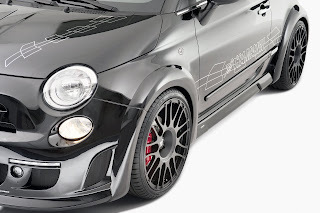 It goes without saying that all HAMANN-components do not only convince with their look, but also with their aerodynamic characteristics. 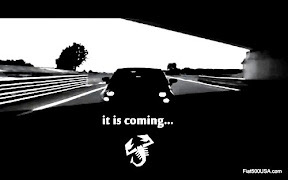 They produce an optimized air duct across the car silhouette and therefore render additional downforce. 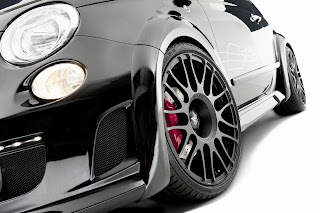 Matching the new, dynamic automobile look, HAMANN-Motorsport offers the striking design wheel LARGO FORGED ANODIZED. The matt black anodized, one-part rim is available in 8.0 x 18 for the front- and 9.0 x 18 for the rear axle. 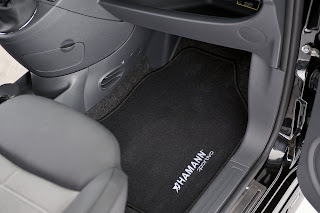 In addition, HAMANN offers matching tires measuring 215/35 ZR18 or 225/35 ZR18. 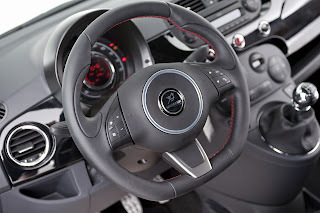 But not only the dynamic design of the light alloy rim is inspiring. 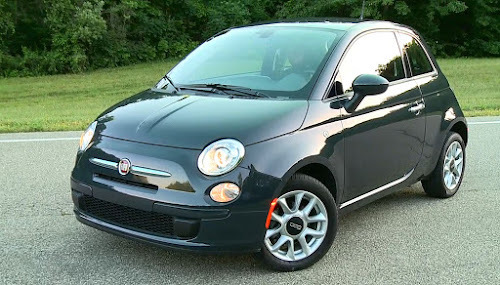 Due to its light weight, also the unsprung masses of the car are reduced. This leads to a better handling and more agility. Another enhancement for handling the car is the HAMANN-coilover suspension which lowers the car´s center of gravity by up to 60 mm. 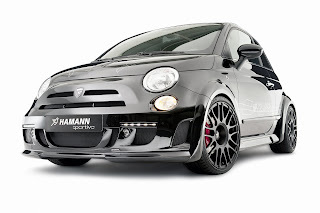 HAMANN also developed a stable sport brake system for the Fiat 500 which renders advanced deceleration values. The set consist of two perforated and internally ventilated brake discs (diameter 280 x 28mm) at the front axle in combination with red 4-piston brake calipers and steel-covered brake tubes. The back axle can optionally be equipped with discs measuring 257 mm in diameter. 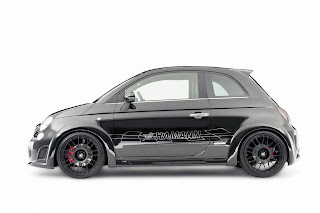 An aluminum pedal set including foot rests and a door mat set with embroidered HAMANN sportive logo leave dynamic highlights in the interior and stylishly perfect the Fiat 500 program.